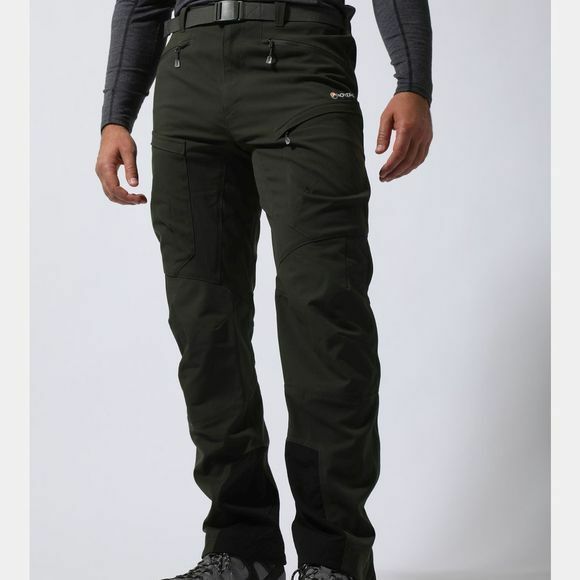 The Men's Super Terra Pants from Montane are hardwearing mountain pants that will keep you comfortable for all day adventures. Constructed using a combination of Granite and Cordura fabrics they are highly abrasion resistant and offer UPF 50+ sun protection so that you can focus on the challenge at hand. 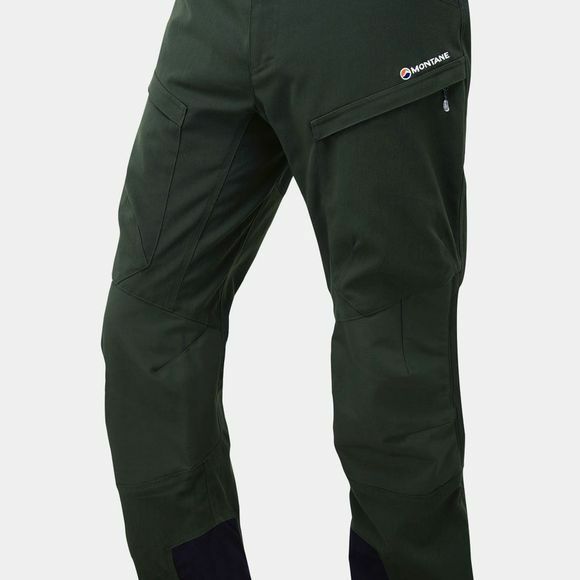 Reinforcements at the knees, seat and instep make these trousers ideal for most mountain activities, whether you are hiking, scrambling or even having a go at tougher climbs, the abrasion resistant fabric will take scuffs and scrapes galore. Key seams have been triple stitched to further enhance the durability while ventilation points can be zipped open when you need to dump heat quickly. A multitude of well placed pockets offers secure storage for your essentials and the included belt is ideal for multiday hikes when your trousers are at risk of becoming loose.